An Online commercial for the May Issue of the Monthly Comptiq magazine has revealed that an anime based on the eroge “Fortune Arterial” (By Studio AUGUST) has been green-lit for production. No other details have been announced, but we’ll definitely keep you updated on this. 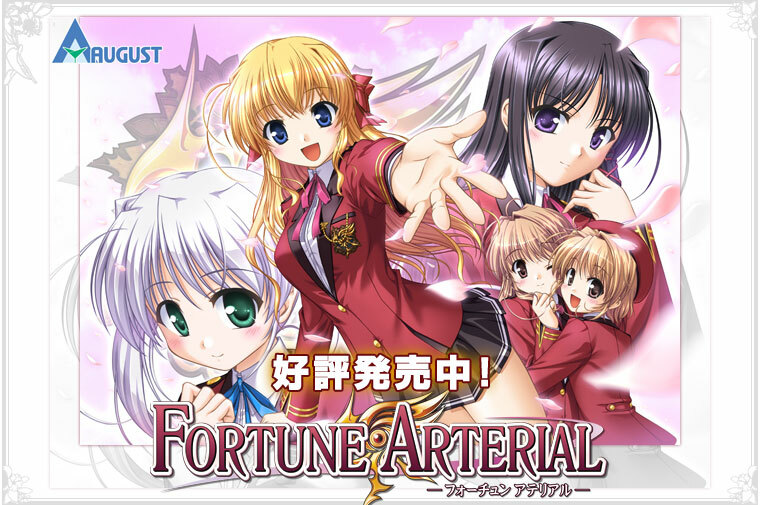 Fortune Arterial is an Bishoujo PC game set in Shuchikan Academy, a school which is on an island named Tamatsu Island off-shore from mainland Japan. Kohei Hasekura transfers into the famous school, known for its 6 year program encompassing junior-high and high school students. Soon after transferring, he discovers that one of the student in the class next door to his, Erika Sendo, is in fact a type of vampire.